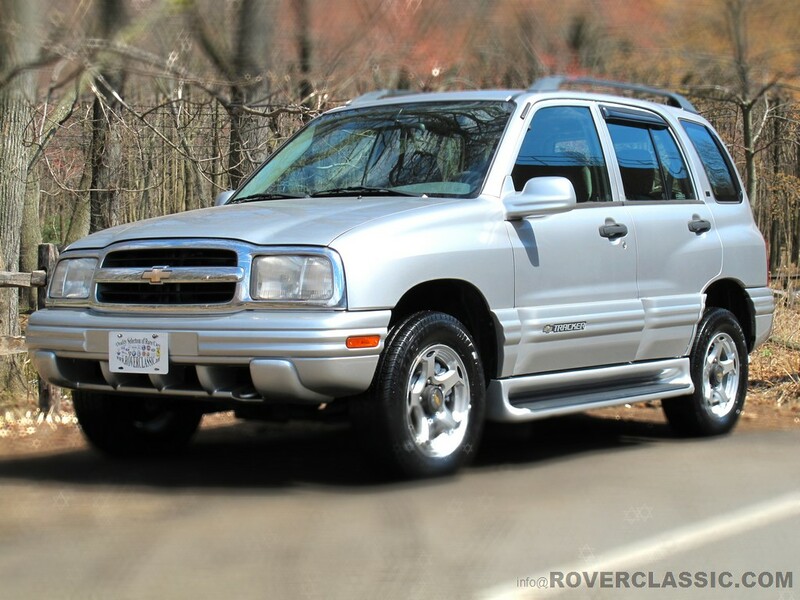 2001 CHEVROLET TRACKER LT 4X4 ... 89,933 Original Miles Engine : 6 Cyl, 2.5L Transmission : Auto Exterior : Silver Interior : Gray Body Style : SUV Vin : 2CNBJ634516915079 This One owner 4x4 Tracker has Automatic Transmission, Power Brakes, Air Bags, Cruise control, Power Mirrors, Power windows, Power door locks, Running boards, CD / AM / FM and Air Conditioning. Tires have atleast 80% thread left. The paint looks original with absolutely no rust anywhere on the car. Full service was performed on this beauty, Brake rotors as well as pads were replaced. It will be sold with a clear title and it will be sold as-is, where-is.